Schlage has been a leader in reliable door hardware for years. They make many great looking knobs at a reasonable price. Schlage door hardware comes in a variety of shapes and finishes allowing you to have any style in your home. 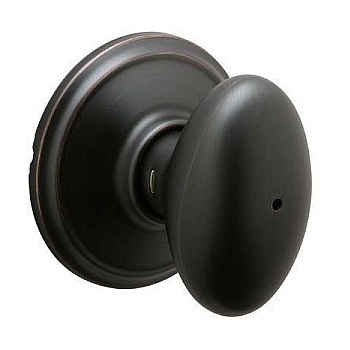 The Schlage Siena knobset is one of our popular egg shaped doorknob sets. It comes in a selection of 8 finishes and 4 functions. It also comes with a lifetime guarantee for the finish and mechanical function. The Siena knobset will not disappoint. You get the features you need from your door hardware and you don’t have to pay too much. Be sure to look at all our other Schalge door hardware.